Discussion in 'Other Related Topics' started by Hiidenpata, Sep 6, 2018. 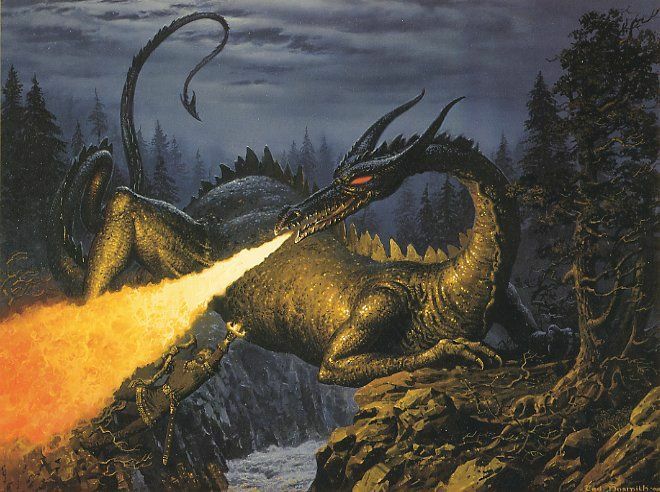 I really want to see a movie that tells about dragons like Glaurung. A film of Turin's life, including dragon-slaying, would be epic, indeed, but I wonder if it wouldn't be too grim to succeed with most audiences? Unless they tacked on a happy ending -- like Demi Moore's Scarlet Letter! ..If I may ask, did you read Tolkien in English or Finnish? Or both? One reason I ask members from non-English-speaking nations about this is I'm always interested in their take on translations into their native tongue. In this case, I'm also curious about your mention of "Noldor" -- was this a Finnish translation of a dragon's name? It would be an odd choice, if so, as the Noldor were one of the important tribes of Elves. No it wasn't, i just messed up.. I heard someone reading a section of the Simarillion in Finnish on youtube a few years ago and i was blown away by how it sounded. I want to see a movie about Scatha. A double welcome, then, Petteri, I mean Hiidenpata (!) -- to the forum, and to the Club of Messers Up! Edit: That was reported and deleted, Miguel. If you see something "iffy" you can message Erestor Arcamen, our hard-working Mod. Right -- nothing to do with you, PK! Troll was trying to avoid the "Report" button that appears at the bottom of each post. I don't think it would be too grim. Game of Thrones has way darker stuff in it, and look how much ppl love that. You may be right, there. Plenty of grim in the Silmarillion! Also murders and betrayals enough for GoT fans. There's even a naked Nienor. But I'm not interested in a naked Idril. Much less a naked Galadriel. CirdanLinweilin and BountyHunter like this. I would bare naked Nienor only if we barely see anything. She may be a Tolkien character, but this *is* Tolkien. I wouldn't watch it if everything is to bare, I am not sorry to say. Might be best for a separate thread, but has anybody noticed? All known dragon-slayers were Men. That is, if we count Earnedil as a Man. Besides him were; Turin, Fram and Bard. 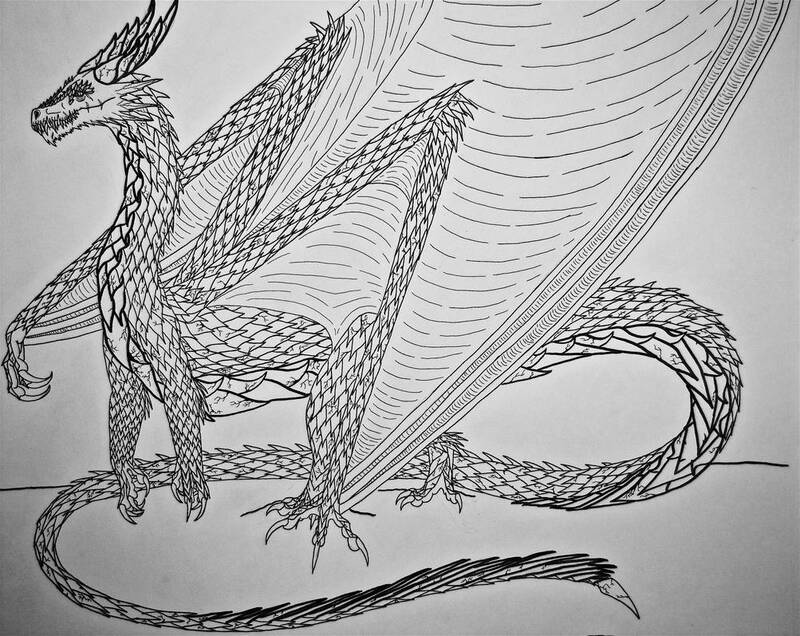 To the best of our knowledge, no Elf - no full-Elf - ever slew a dragon. Both Fingon and Azaghâl made Glaurung run away tho, Azaghâl almost killed him. I always assumed that at least one dwarf has killed a dragon, but I don't know if I could find anything in the texts to back that up. Do you know of any? I don't think any did, though i'm pretty sure they're capable of it. Dwarfs of Belegost resisted the most against Glaurung and the other dragons in the Nirnaeth, while all the other forces were forced to retreat, one reason being completely covered in armor, face included. They also seemed to be devised from the get go to be particularly resistant to Morgoth's evils, but of course not immune. I'm pretty sure there are descriptions of dragons, along with balrogs, included in the battles fought by the elves during the War of Wrath, maybe just not "on screen" as killed? Gostir "Dread glance" from 'The lost road and other writings. It's unknown if winged or not, fire or cold.